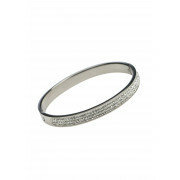 A beautiful bangle by Killarney Crystal. 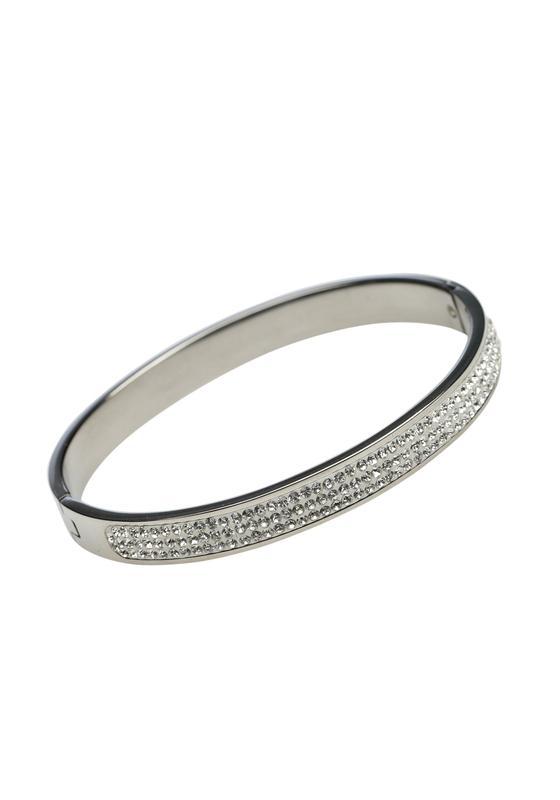 Featuring three rows of small crystals across the top, the sterling silver bangle has a hinge fastening which locks shut by fixing to itself. The bracelet is 2.5” wide and 2” high.